The Electric Tricycle Battery Smart Charger has the multi-stage patented pulse charging technology specially for 72V/10Ah~150Ah battery bank as power battery of electric vehicles. This innovative, Battery Smart Charger automatically knows what to do and how to charge as a perfect battery optimizer and Battery Life Saver, so you don't worry about how to install it just as a power expert. Unlike other common chargers on the market, this intelligent machine adopt the proper charge current and different stages upon cell itself to avoid the risk of unsafe or improper charging, such as over-charged and under-charged. 72ViMC150Ah is intelligent maintenance charger, is more than a battery charger and battery saver. During the charging cycle every day, our patented desulphation pulsing constantly works to minimize and reduce naturally occurring battery sulfation as a kind of Electric Tricycle Battery Repair real-time mode. By this way of charging, your EV power battery will be charged deeper, maintained greater reserve capacity extend battery life doubled or more. 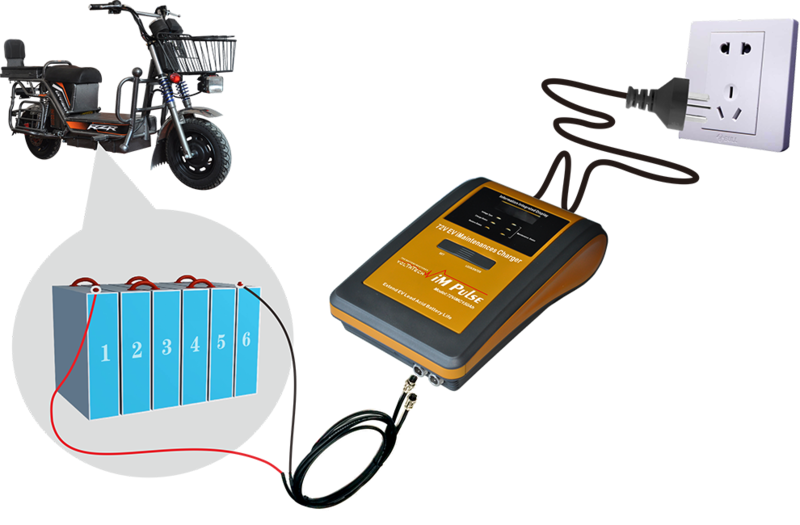 As you will read, this 72V150Ah Battery Smart Charger for electric bicycle or tricycle is a multi-functional charging maintenance system developed by us based on our multi-year research results used for power battery of electric vehicles. It is applicable to digital pulse charging, non-destructive repair and pulse maintenance desulfation of all types of lead batteries in 72V/10Ah~150Ah. As well as called it Battery Desulfation Smart Charger or Smart Battery Saver for electric bicycle. Automatically identify 72V battery voltage and shift the output polarities of the charger. It can adapt to all the popular electric tricycles on the market. Looking for ideal Electric Tricycle Battery Repair Manufacturer & supplier ? We have a wide selection at great prices to help you get creative. All the Battery Desulfation Smart Charger are quality guaranteed. We are China Origin Factory of Battery Life Saver. If you have any question, please feel free to contact us.